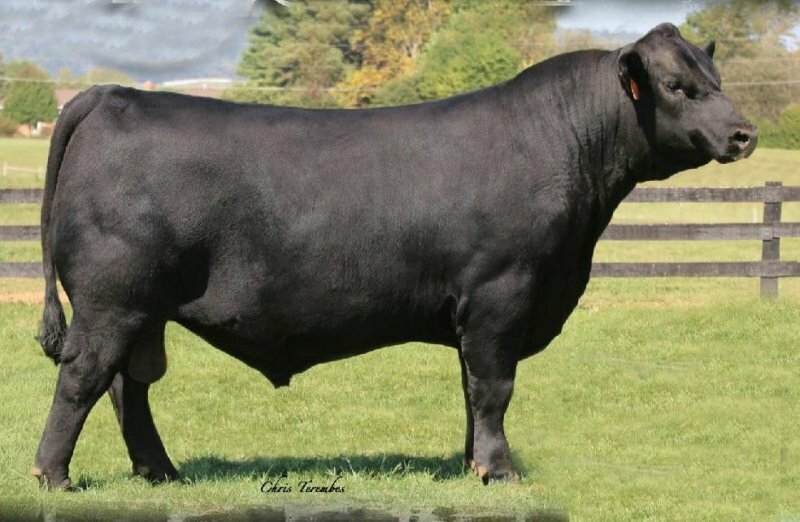 � The Number 1 $Beef bull in the Angus population when you sort for CED and $Weaning EPDs. Crossfire is the most unique son of GAR Prophet to surface in the Angus breed and is a dirct son of the stunning and superior producing 2008 Donor who is the only full sister to GAR Sure Fire. 2008 is a front pasture kind. She can do it all, incredible phenotype, exceptional EPD profile and in terms of convenience traits she stays fat on air, milk heavily and has a bomb proof disposition. � When you study Crossfire's EPD profile, he's the commercial and purebred cattle producers dream heifer bull prospect. � Crossfire is big footed, big boned, colassal bodied, ideal in his muscle shape, and a cool customer from the side view.